My name is Alfredo Alcala Esparza, I am in the United States Navy, Independent Duty Corpsman. I have been using Skyscape references for about 3 years or so and have been recommending it to my friends and coworkers. In the military, I am equivalent to a Physician Assistant so your programs are very helpful when I deploy because I don't take books with me, I used them in Iraq as well. The Mercy is working with organizations such as Project Hope and Aloha Group from Hawaii as well as the Philippine Army, Indian Navy, Canadian Army and US Air force. We are visiting different areas/islands of the Philippines, Zamboanga, Jolo Islands, Tawi-Tawi and other countries. In Zamboanga, we visited various hospitals and clinics. 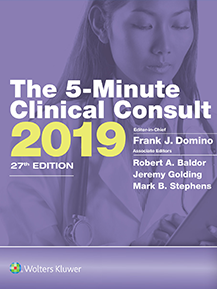 I saw approximately 70 patients in one day, provided quick assessments and handed out free medications and treatments - all with Rosen and Barkin's 5-Minute Emergency Medicine Consult, DrDrugs®: Drug Guide for Physicians and Taber's Cyclopedic Medical Dictionary in hand. The references were very helpful and made it easy for me to find the answers, thereby allowing me to see more patients. In just one day, we prescribed over 500 medications. The second time I participated in patient treatment, the patients were able to come together to the ship by boat and we treated over 500 patients, performing adult, pediatric, dental, minor and complicated surgeries. We will be going to Tawi-Tawi in 2 days where we already have about 3,000 patients waiting to be seen. I like your programs; they are very helpful for the military medical personnel - they are handy, practical and easy to use. People get impressed when I show them everything I can do with them right on my iPAQ.